Taking a total experience approach to what happens from the point where customers dial your 0800 number, through to when your service promises are delivered. 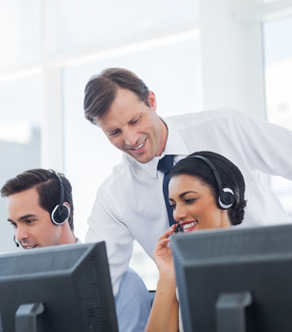 An integrated approach to matching customer convenience with cost-effective delivery – call flow design, CTI and blended IVR/staffed customer interaction practices. Helping you understand your true workload and then matching agents in the most cost effective way through optimised staff schedules and rosters plus getting the most out of your WFM tool (from Excel to fully integrated WFM systems). IVR menu design and prompt recording direction – making self-service by phone a customer success story – eliminating the “robot” experience. Making the fundamental shift from Agent “call by call” feedback to trended Customer Experience Quality management practices to identify and close skill gaps at the front line. Outsource RFP drafting, proposal evaluation and implementation management including SLA establishment and input to commercials – whole of business, after hours or BCP stand-in.